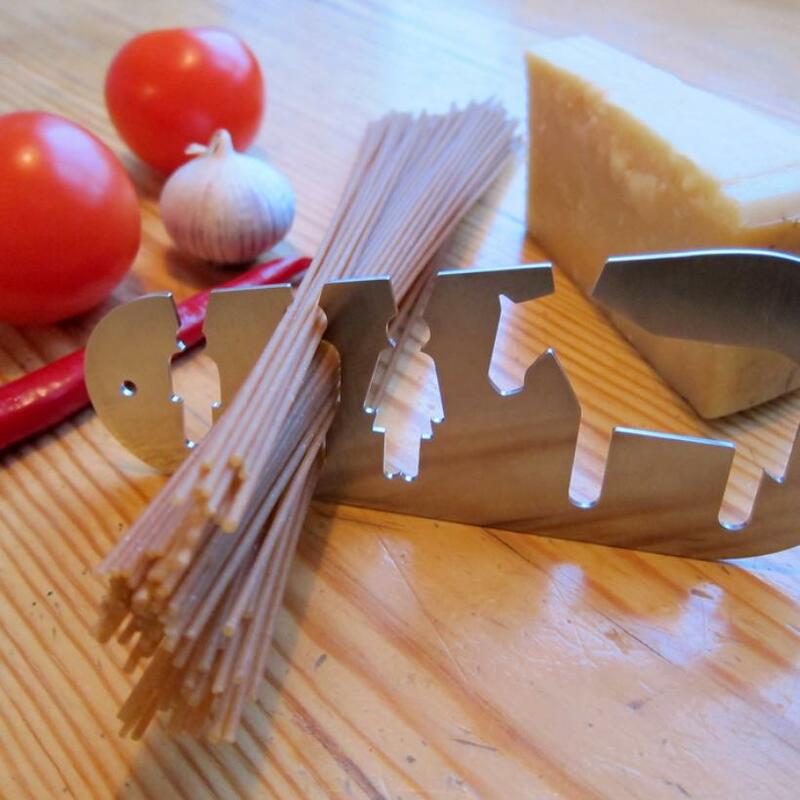 'I could eat a horse' - Spaghetti Measuring Tool: Made by Stefán Pétur Sólveigarson, Iceland, it's a spaghetti measuring tool with three different portions for small, grownup and family. Spaghetti Measure: It's a compact, sleek and convenient spaghetti measure that will give exact and perfect portions every time. 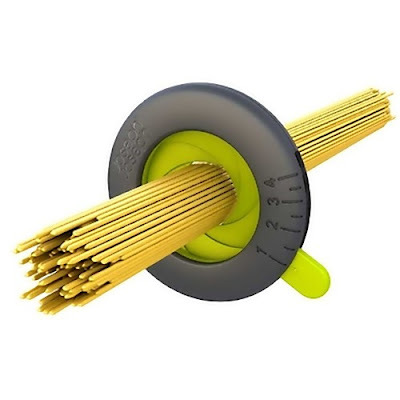 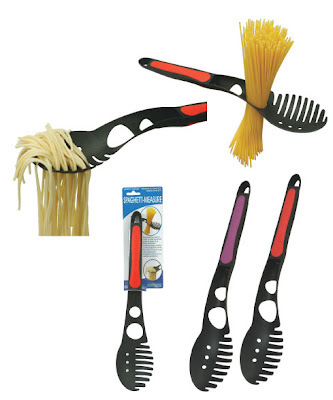 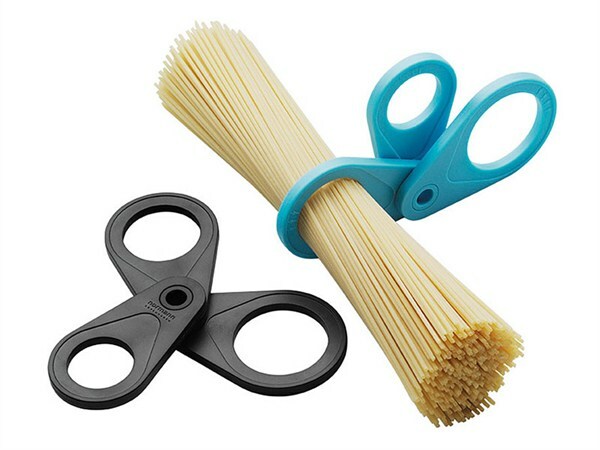 Its edge has a fork that lifts, can be used for stirring, and also drains spaghetti. 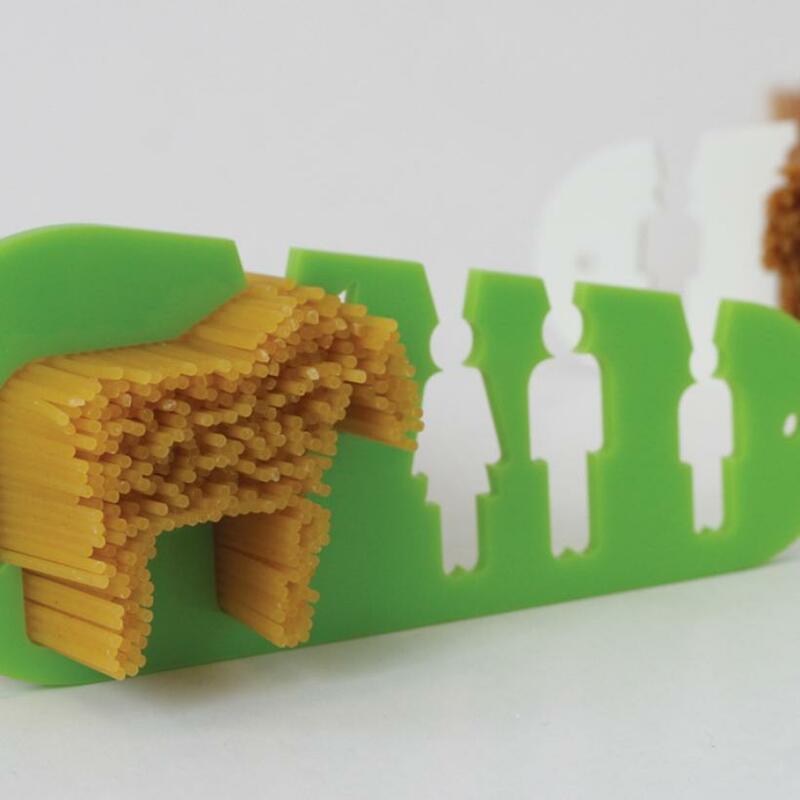 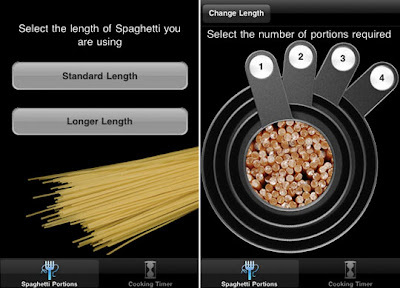 Spaghetti Measuring Device: Another cool spaghetti measuring tool; it has measuring holes for kids, grownups and dinner portions. 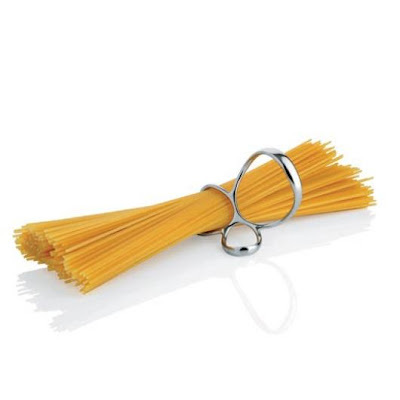 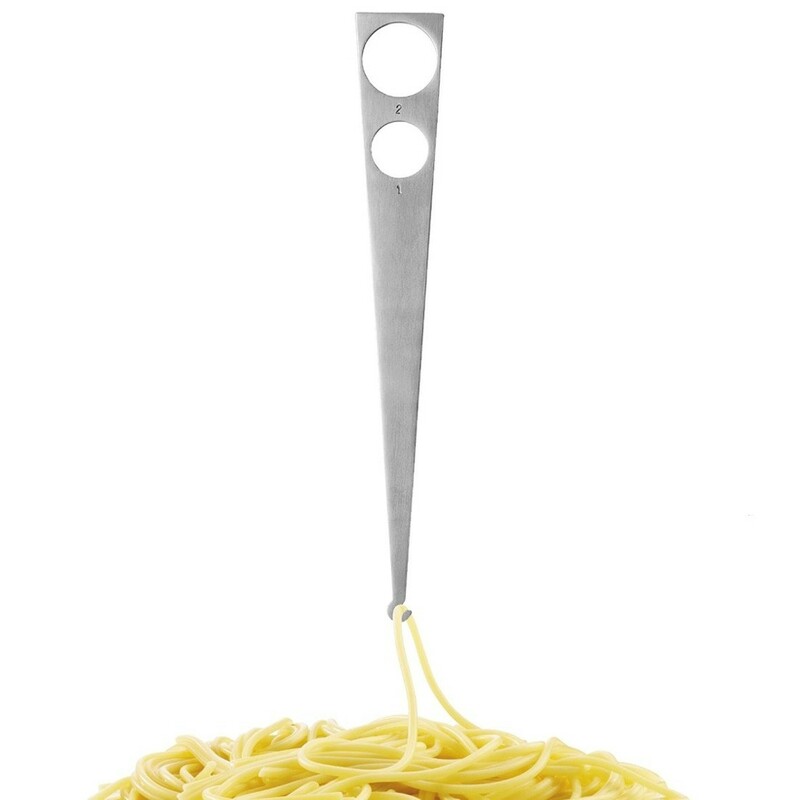 Voile Spaghetti Measure: Designed by Paolo Gerosa, it's an elegant object, is unique in appearance, and is a very precise spaghetti measuring tool. Rosle Spaghetti Measure: It's built with four polished stainless steel plates that makes sizing out 1 to 4 perfect portions of pasta. 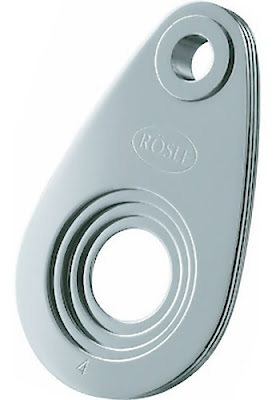 It features a convenient, rotating design; thanks to a riveted ring that can also be used as an eyelet for storage. 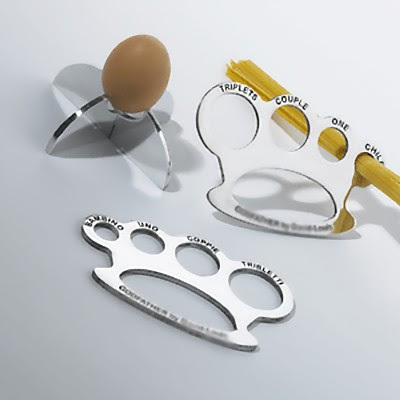 Don't miss to check out "Cool and Useful Kitchen Tools - Part: 1| 2| 3| 4| 5| 6| 7| 8| 9| 10."